As Ed worked toward his degree in horticulture, he began to learn about the field of biotechnology and the potential it offered regarding tissue cultures. Ed realized that through biotechnology, he could help breed new plants that would shape the future of our agricultural industry. With that dream in mind, Ed aspires to one day design new breeds of plants that are more resistant to drought and soil salt levels. In addition to juggling work with school, Ed also picked up several internships through his biotech coursework. Working with Fullerton College, he propagated a variety of crops that would later be sold at yearly on-campus events. 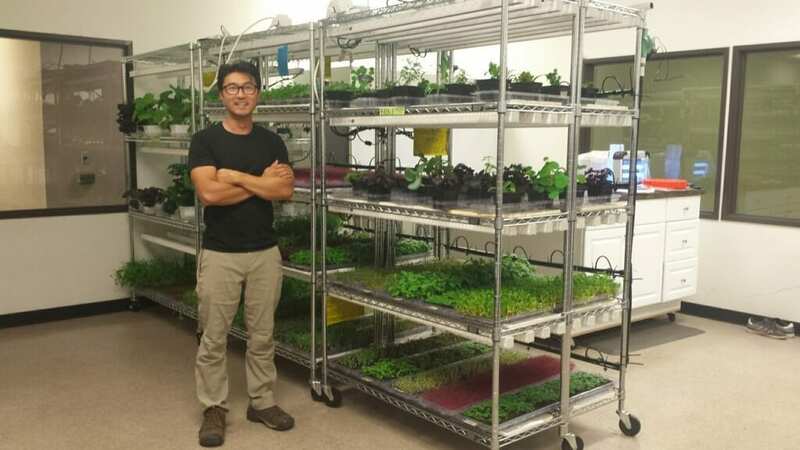 Furthermore, he secured an internship with a vertical farm in Irvine, where he worked in a lab testing lighting and fertilizer conditions for optimal plant growth.